Popeye Pulling Team stops ! The sad news continue. 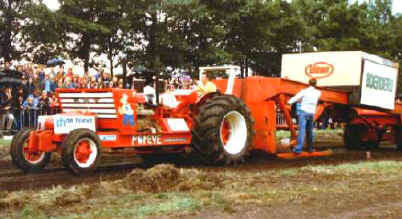 The Popeye Pulling Team from Bladel, in the Netherlands have decided to stop with Tractor Pulling after 36 years. 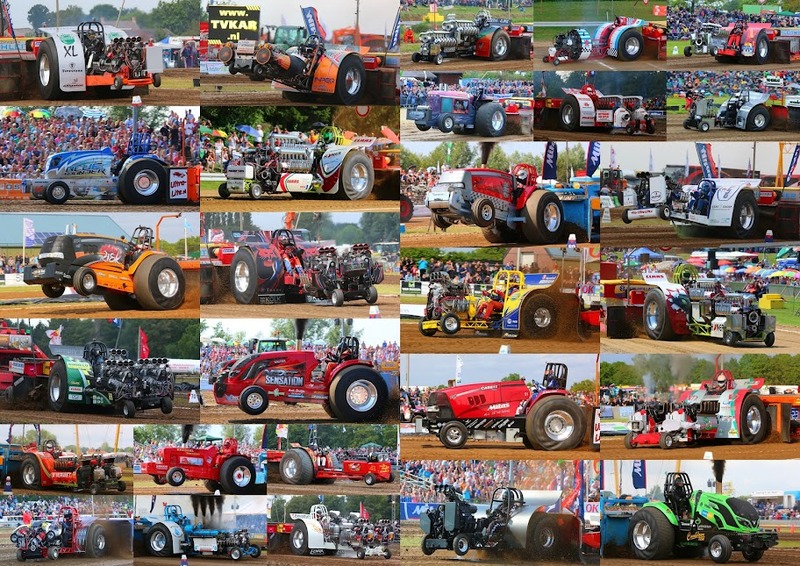 The Dutch Team won in their 36 years of Tractor Pulling, impressive 19 Dutch Championships, 6 European Championships, 1 Intertechno Bobcat Cup and 1 Euro Cup title. Definitely the biggest success for the Team were the win of both European Championship title in Great Eccleston, Great Britain 1998. 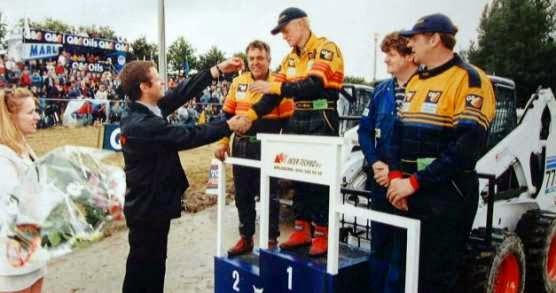 Johnny van Alphen won the title in the 3.4t Modified class and his father Jan van Alphen won the title in the 4.4t Modified class a day later. Another big success was the win of the Euro Cup title in 1999. The hardest year for the Popeye Pulling Team was 2007. Jan van Alphen died after a horiffic accident during the Tractor Pulling event in Great Eccleston, Great Britain. The death of Jan van Alphen in 2007, was the biggest lost for the Team and for the whole Tractor Pulling Sport in Europe. 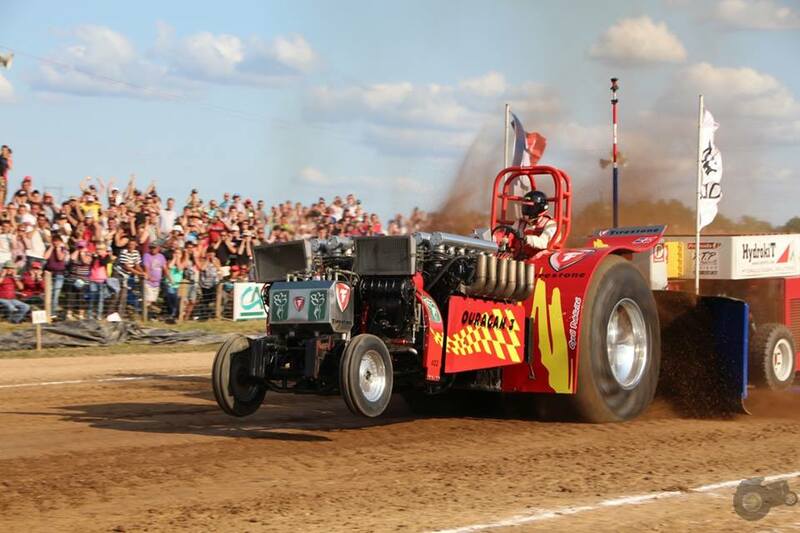 But the Team rebuilt the tractor after Jan´s accident and his son Johnny finished with a great 2nd place in the 4.5t Modified class at the European Superpull in Ahoy 2008. In 2012, the Team decided to retire from the Modified Pulling. 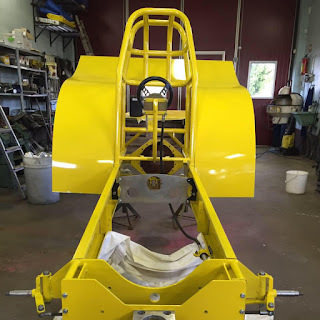 The new project was a John Deere tractor for the new Light Super Stock class on alcohol. 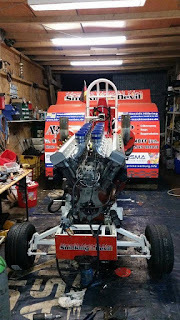 After 3 years planning and building, the Team decided completely to retire from the Tractor Pulling Sport after 36 years. 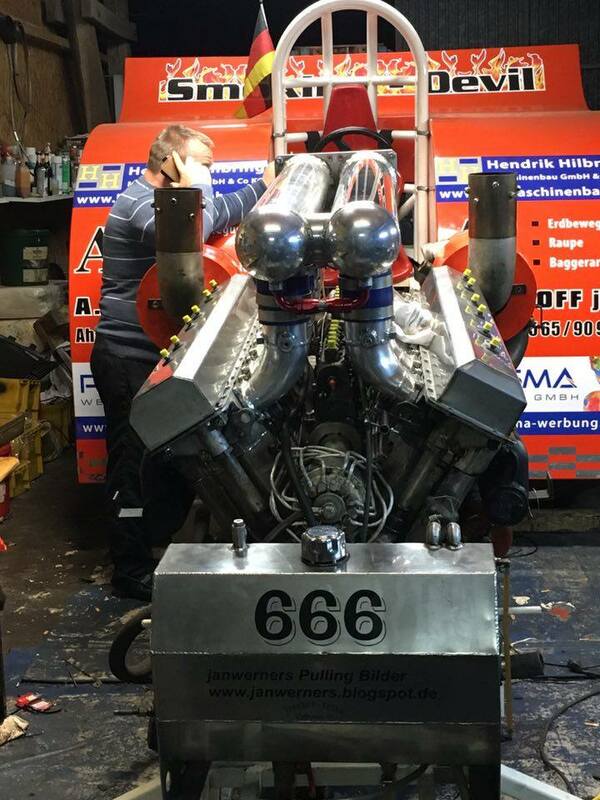 The Smoking Devil Pulling Team from Ahaus in Germany are working on their Light Modified Tractor at the moment. 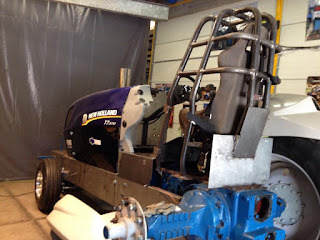 After the engine damage on the German Championship finals 2015 in Fürstenau, the Tractor gets some changes at the moment. 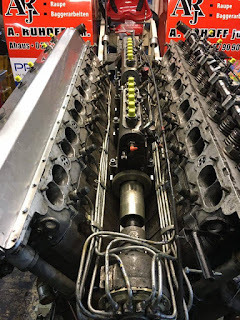 The Russian Transmash V12 engine receive a new better diesel fuel system, 2 big Bosch P diesel fuel pumps with 16mm elements and a new intake system. The new fuel system come from the Truck Power Pulling Team (DK) and intake system is from Herman Staal´s Light Mod Tractor called ,,Another Russian Invader´´ (NL). The Team hopes to get more horsepower from their engine with those changes. The front end of the frame was also revised. The Mod got a set of new smaller tyres with rims. The Smoking Devil Pulling Team will compete in the German Championship next year. 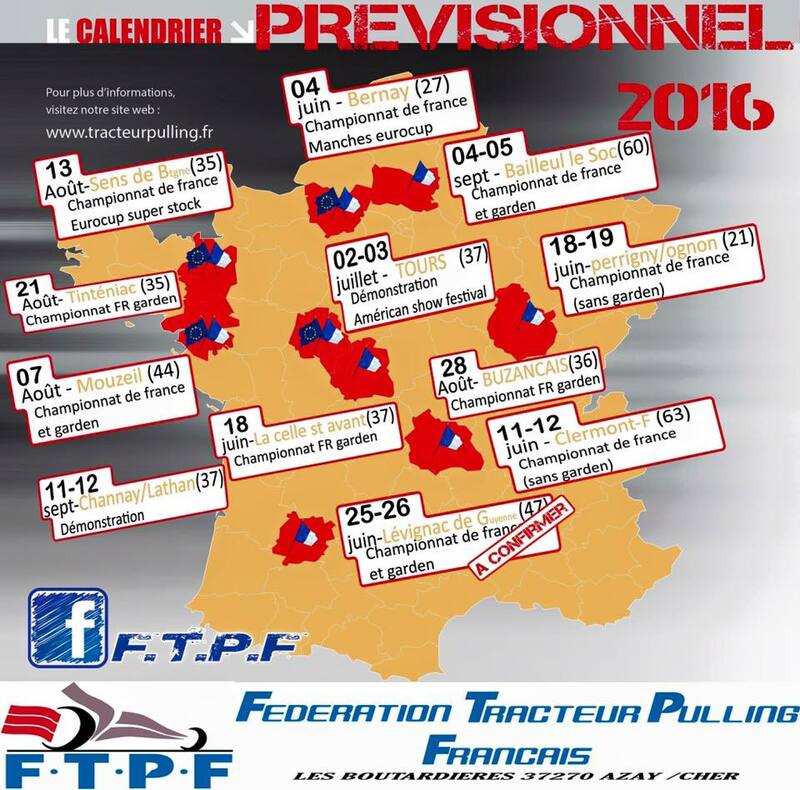 The first start is planned for the 24th of April 2016 in Füchtorf, Germany with those changes. 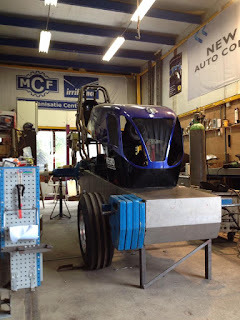 The Blue Brother Pulling Team from the Netherlands are building on a new Tractor for the 4.5t Sport class at the moment. 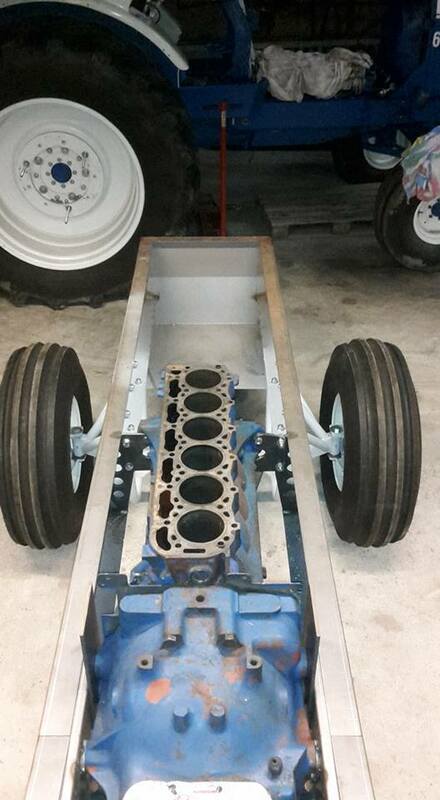 The Ford Tractor gets a homemade wedge frame with a homemade ROP. 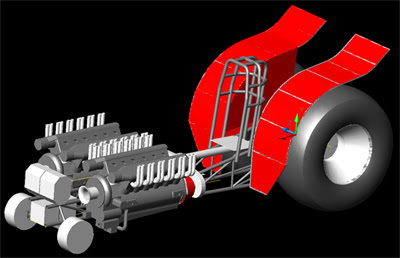 But the idea of the chassis and the complete construction is built for the 3.6t Super Sport class. The rearend and the gearbox come from a old Ford Stock Tractor. The hood of the new tractor come from a Ford TW 20. 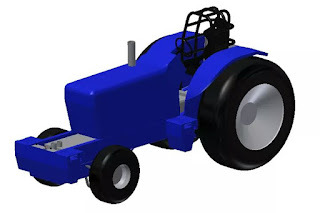 The Sport class Tractor will have a 6 cylinder turbocharged Ford engine on diesel fuel. 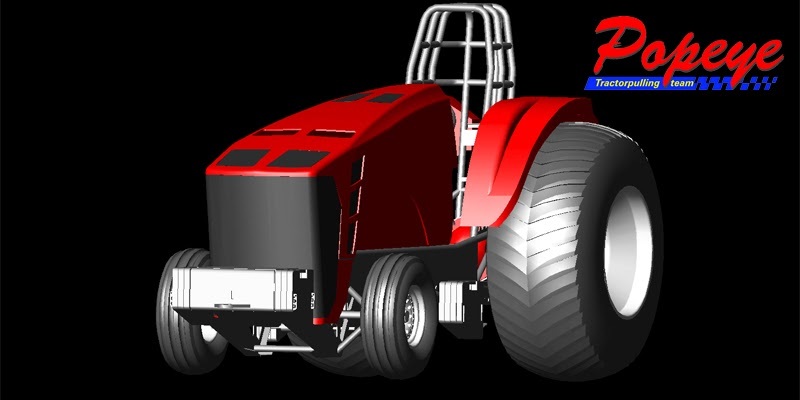 The Dutch Team has planned to compete with their new Ford Sport class Tractor in the second half of the season in the Dutch Championship next year. Butter Let´s Try sold ! The Dutch Mini Rod called ,,Butter Let´s Try´´ of Marck Jansen and Oscar van de Vinne from Dronten in the Netherlands was sold to Austria. 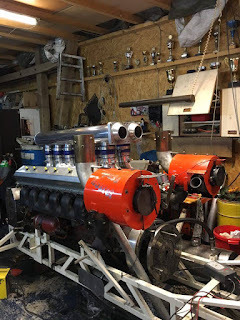 The new owners of the Mini Rod with the blown New Centurie V8 engine are the Team Tonninger Racing (TTR) from Lasberg in Austria. The Tractor also gets a new name. The new name of the Tractor is Back Again 2.0. 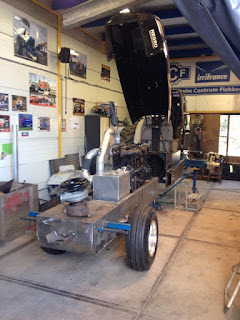 The first start of the Mini Rod under Austrian flag is planned for the 23rd of January 2016 in Zwolle, the Netherlands. 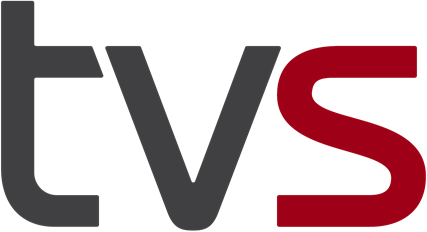 The Team Tonninger Racing will compete in the Austrian Championship next year. Truckpower two dyno test run. !Photos from Etten-Leur are online! The whole pullingworld.com Team wishes all readers, Sponsors and Pulling Teams a Merry Christmas and a happy new year! After 6 years in the Pro Stock class, the Midnight Deere Pulling Team from Neuenstein in Germany make the switch into Super Stock class next year. The John Deere 4440 gets a lot of changes at the moment. 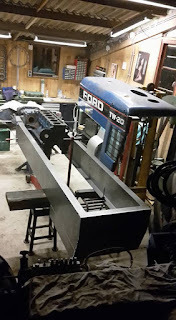 The Tractor gets a new wedge frame with a homemade Steel ROP. The ROP was constructed by Marcus Kaiser (Kaiser Performance) from Gussenstadt in Germany. 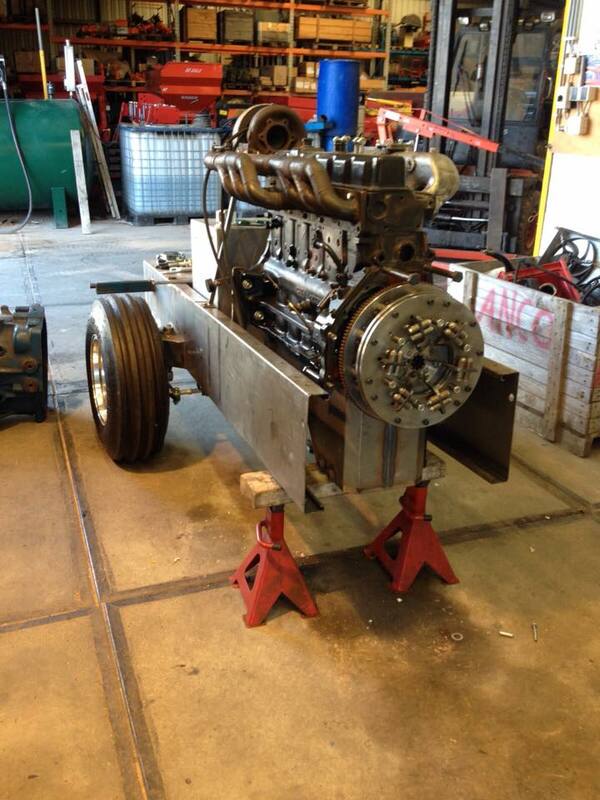 The Team use in their Super Stock a rear axle and a gearbox from a JD 4010. The gearbox has special made gears from GMS (Genes Machine Shop) in Hamilton, Ohio (USA). The Tractor also receive a set of new front tyres with new rims. 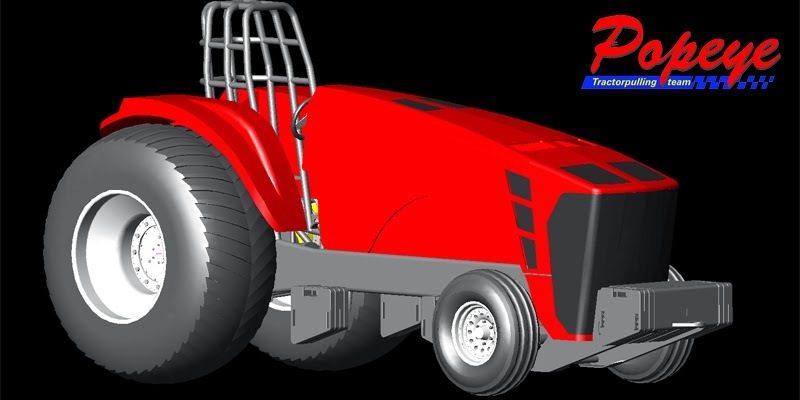 The Team will use provisionally Firestone All Traction 23 10Ply Pro Stock tyres with the rims of their old Pro Stock Tractor for 2016. But, a switch to a other type of Firestone tyres is still possible. 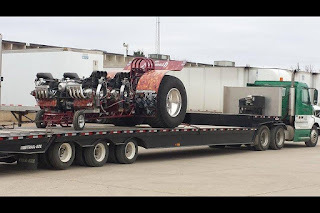 The Tractor will have a 7.6 l 6 cylinder John Deere 6076 engine with 2 Holset HX 80 turbocharger on alcohol, Koebrugge rods, Wahl forged pistons, a JD 6076 crankshaft from GMS and a VSP injection system. 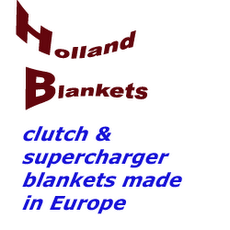 The intake and outtake Manifold comes from the old Magkal Bits n Pieces from the Netherlands. 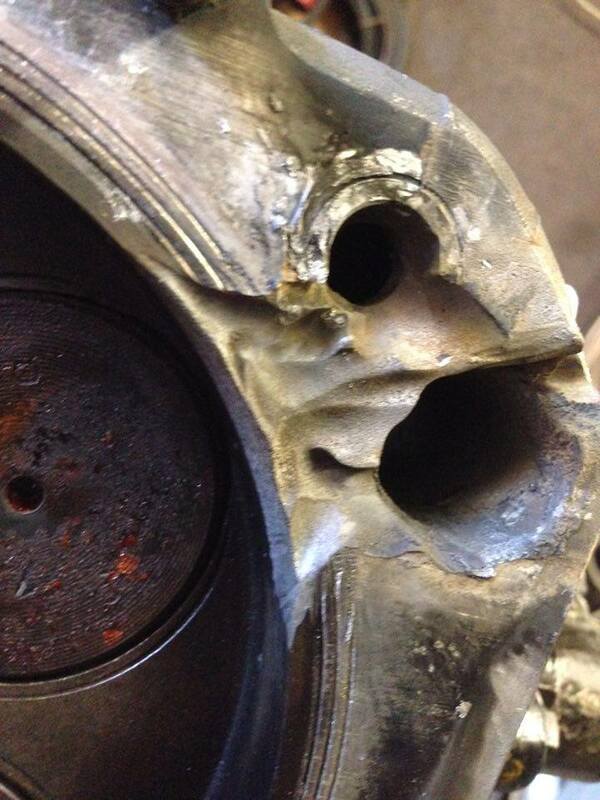 Also, the used Indy alumnium cylinder head on the engine comes from the old Bits n Pieces. But, the cylinder head got some changes and was revised by Kaiser Performance in Gussenstadt. The Midnight Deere Pulling Team will compete in the German Championship next year. The first start of the new Super Stock Tractor is planned for the 24th of April 2016 at the German Championship opener in Füchtorf, Germany. Green Spirit Team stops with the twin Griffon ! And more bad news for the twin Griffon fans. 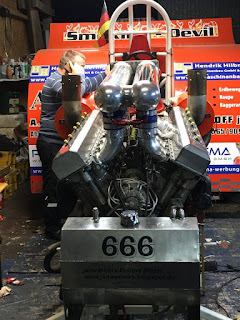 After 26 years in the Heavy Modified class, the Green Spirit Pulling Team from Biervliet in the Netherlands, have decided to stop with their twin RR Griffon V12 powered tractor called ,,Green Spirit 6´´. But the Team has announced to build a second Light Modified Tractor called ,,Green Spirit 8´´ for 2016. The Green Spirit Team will compete with both Light Modified Tractors in the Dutch Grand National Championship and in the Euro Cup next year. 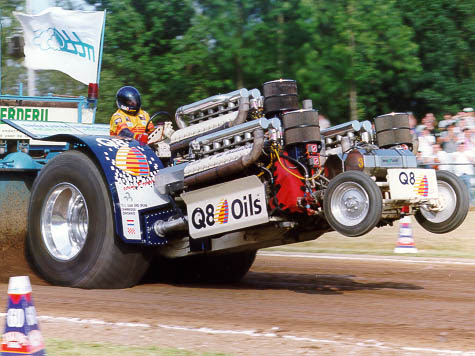 In the Dutch Truck- and Tractor Pulling Magazine were already written some speculations about our future as team. 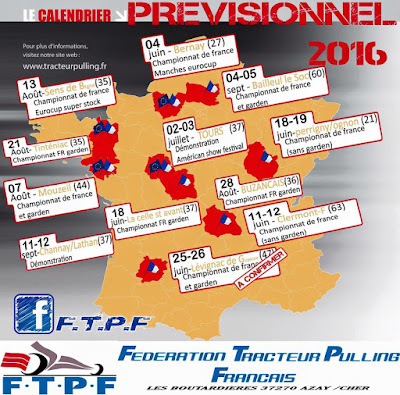 After a lot of thinking, discussing and looking forward we have decided to changing course off season 2016. In recent years the Unlimited class is not very easy to handle with. Access is difficult and finding a right weight limit too. The uncertainty on this was always the reason to not starting the construction of a lighter twin-Griffon. 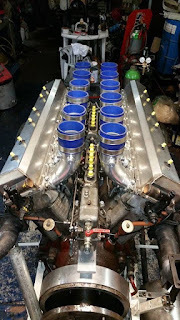 As team we believe there should be a proper weight limit that brings the Modified and Unlimited class closer to each other and must form a solid class in the future. Partial on this we have decided to (temporarily) take away from the heaviest class and fully set our goals on the Light Modified class. 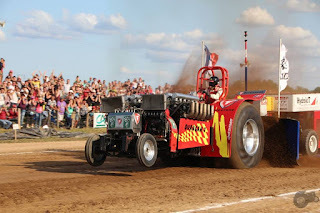 After 26 seasons there are mixed feelings by us as team and probably many other pulling fans by not seeing the twin-Griffon on the track anymore. Nevertheless, we think we are making the right choice looking to the future. 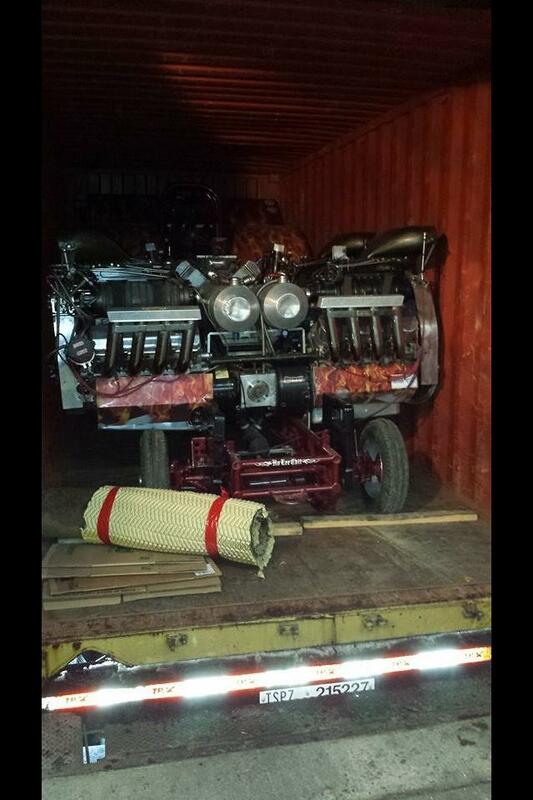 Next year we will show up with two tractors in the Light Modified class! We enjoy the great battle and different engine configurations in this class. 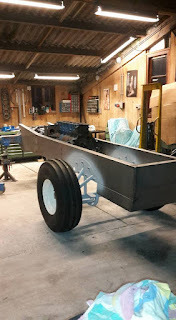 The current Green Spirit 7 is meanwhile under construction to get a better balance. 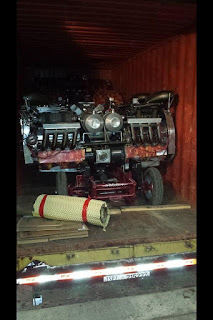 The engine will be placed up front and we save weight where possible to have the possibility to put it on the front of the tractor. 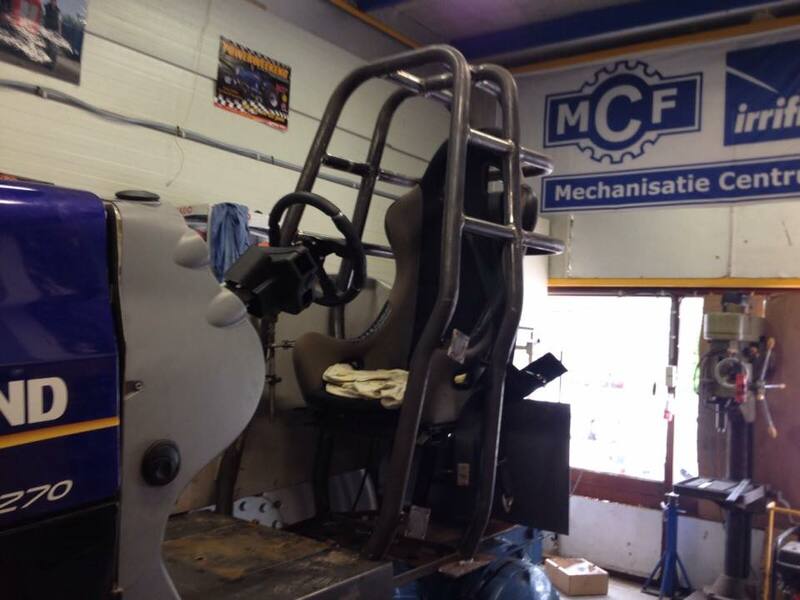 Additionally we start to build a completely new machine, the Green Spirit 8! Also this one will be a single Griffon puller, but the outside look will be different from the other one. 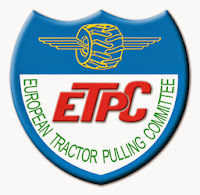 We are looking forward to this new challenge, we will try to get on top with both tractors! Both machines will compete in the Dutch Championship and the Eurocup series. 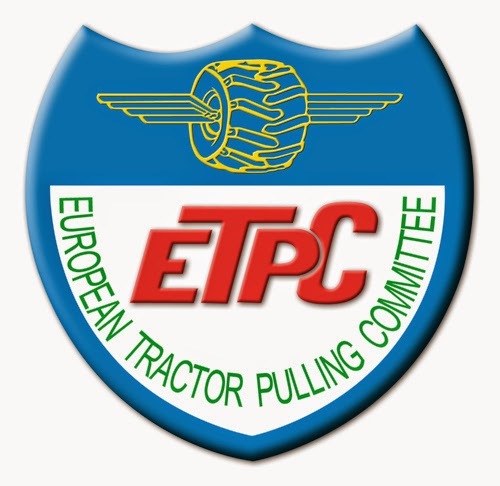 At the moment we are busy to get the tractors ready for the new outdoor pulling season. We are proud to say this will be again in conjunction with our main sponsor Frans Vervaet BV and many other subsponsors. 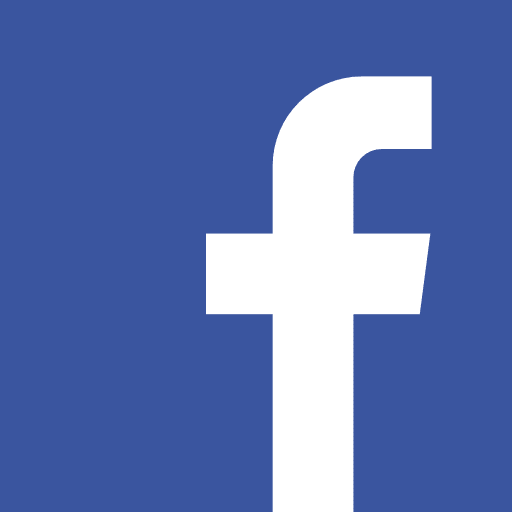 We will keep you informed during the (re)construction! 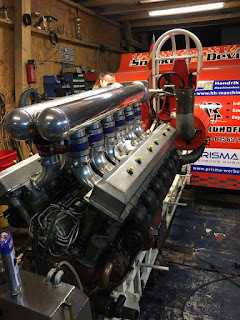 After many years in the 3.6t Super Sport class, The Wild Thing Pulling Team around Stefan Kronvall from Sweden returns into the Mini Rod class next year. The Swedish Team are building a new Mini Rod with a blown Ford V8 engine at the moment. A little bit history, the Team was very successful in the Mini Rod class in the past. 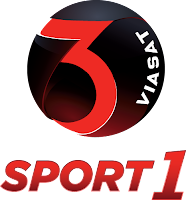 They won the European Championship in 2000 and the Euro Cup title in 2002. 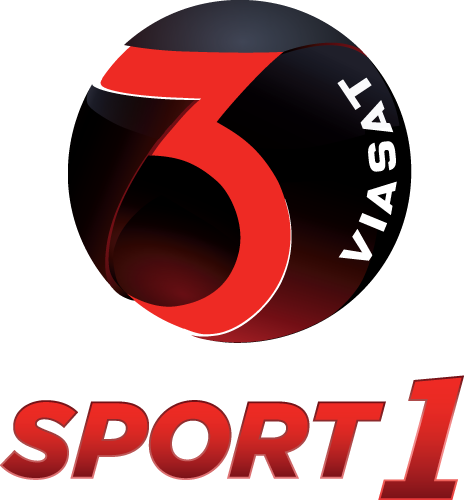 The Wild Thing Team will compete in the Swedish Championship next year. The Blue Power Team from Nieuwerkerk in the Netherlands are building on a new 3.6t Super Sport class Tractor at the moment. 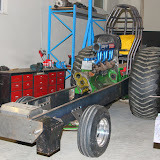 The Tractor gets a wedge frame with a homemade ROP and a New Holland T7 270 hood. The gearbox and the rear end comes from a old Ford Tractor. The New Holland also receive a 3 disc centrifugal clutch with a modified transmisson. The Super Sport Tractor will have a 6 cylinder Ford Powerstar engine with 7l capacity, a HX 60 turbocharger, a Intercooler and a Bosch P 7100 fuel pump with 16mm elements. The Dutch Team will compete in Dutch Championship next year. Aftermath sold to UK ! The US Modified Tractor called ,,Aftermath´´ of Jeff Gueningsman from Winsted in Minnesota (USA) was sold to Great Britain. 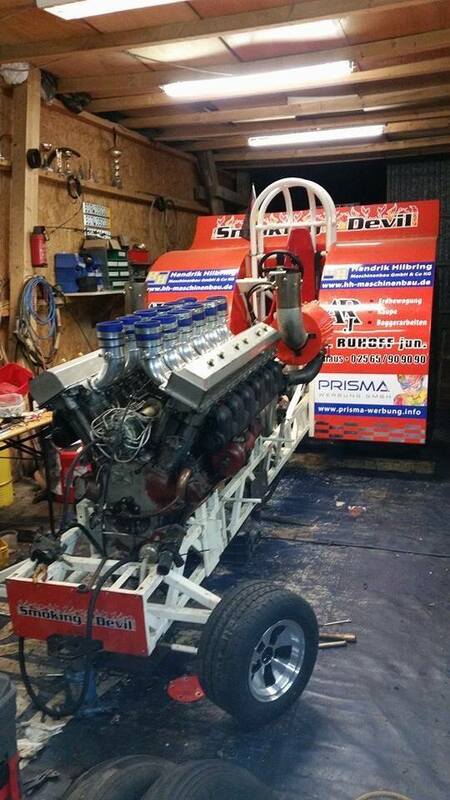 The Modified tractor is powered by 4 blown Chevy V8 engines and was driven by Jeff Gueningsman from 2004-2011. But, Jeff lost his life tragically after a long time battle with lung cancer in late July 2011. The new owner of the Tractor is Daniel Whittingham from Scroton, Lancashire in Great Britain. Daniel is also a crew member of the Snoopy Pulling Team. He will compete in the British Championship with his new Modified Tractor next year. Now, the Aftermath is on the way with the ship to Europe at the moment. 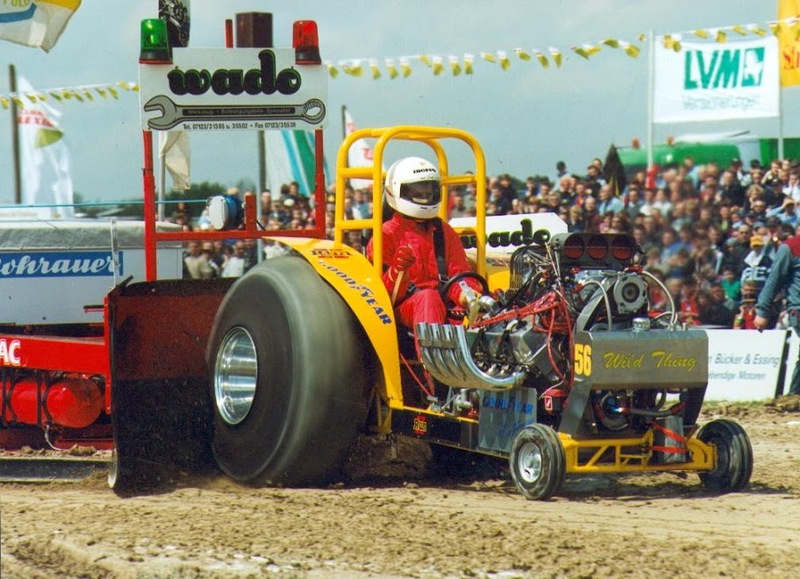 The French twin Griffon V12 powered Modified Tractor called ,,Ouragan 3´´ wasn´t sold to the The Judge Pulling Team from Ijsselmuiden in the Netherlands. I had contact with one crew member of the Judge Pulling Team a few days ago. He told me, the sell of Ouragan 3 to the The Judge Pulling Team were only rumors ! So, the tractor is still for sale.